Thank you for choosing Sooke Harbour Resort & Marina for your holiday destination. We hope that our hospitable staff, the natural beauty of our resort, and surrounding areas will provide you with a truly unforgettable experience. It is our wish that while you are here, you find the true meaning of relaxation. 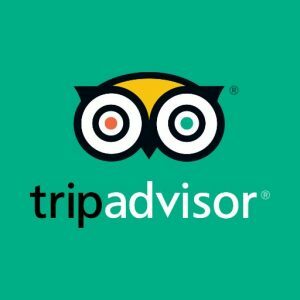 Our team of staff is dedicated to making your visit as enjoyable as possible and we look forward to assisting you in any way they can. The following pages contain information that may be useful to you during your stay at our resort and in the Sooke area. Please take a moment to browse through our guest directory by using the tabs on the left. For more information on Sooke Harbour Resort & Marina and seasonal packages and promotions, explore our website by clicking here. Should we be missing information you are looking for, please be sure to dial 250-642-3236 on your phone and our guest services agents will do their utmost to find the information for you. Drop into our Lobby area and enjoy a Starbucks Coffee or a Tazo Tea. We have all kinds of local information there waiting for you. Restaurant Menus, Spa Services, Fishing Charter information and much much more. Thank you, we sincerely hope you have a wonderful stay! Alternatively, for after hours assistance, please call 250-480-8586. Local calls from your room are free. Our housekeeping will only service your room upon departure. If you would like additional cleans or a refreshing of supplies, charges may apply. Please contact front desk for housekeeping. There are two large hot tubs for guest use on-site. Hours of operation are from 8 am to 10 pm. Use of these hot tubs are at your own risk as they are not supervised. Please respect other guests in the area and keep the noise to a minimum. Shower and bathroom facilities are located at each hot tub. Individual temperature controls are located in the living area of your suite. Please set to your preferred comfort level. If you require additional amenities, please contact the Front Desk. 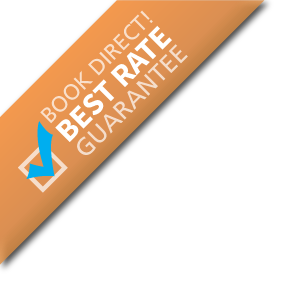 Additional cleans can be arranged during your stay for an additional cost. The official check-out time is 10:00 am. (Check-in is after 4 pm). If you require a late check-out, please contact the Front Desk and we will do our best to accommodate you. Half-day late check-out rates are available upon request. Our Guest Services agents are happy to assist you with activity ideas, dining options, and tour bookings. Please stop by the front desk and ask one of our friendly staff for more information. We honour the following credit cards: Visa, MasterCard, and American Express. Debit Cards are also accepted. Your comments and feedback are extremely valuable. They enable us to monitor our performance and ensure that we continually provide you with the highest levels of customer service. We encourage you to take a few moments to complete a card and share your experiences with us. Comment cards are available in your room or from the Front Desk. 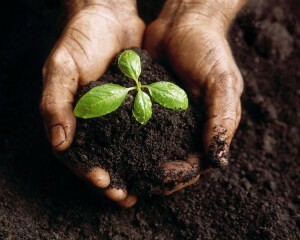 Sooke Harbour Resort & Marina is pleased to offer a composting program to our guests. 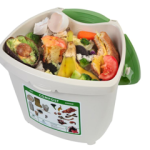 Please see the Composting Tab for more details. Baby packages are available complimentary and subject to availability, we suggest prearranging these items as we have a limited supply. Baby package includes highchair, baby gate, and playpen. Please ask the front desk for more info. Should you require immediate medical assistance, please dial 9-1-1 on your phone. For further assistance please refer to the "Doctor, Dentist & Medical” tab. For security measures door codes are changed consistently and regularly. To unlock door, initiate door code given by Front Desk and turn silver knob clockwise. For added security while in your room, please engage the deadbolt. The hotel’s electric current is AC 110 – 120 volts. Adapters and transformers are available through Housekeeping. The hotel fax number is 250-664-7475 for both incoming and outgoing faxes. Your facsimile needs can be handled by the Front Desk or the Business Centre in the reception. Should a fax arrive for you, we will alert you. For fax service fees please refer to the “Business Centre” section in this directory. To order flowers, please contact the Sooke Flower House, 250-642-2422 or 1-800-661-2117, flowerhouse@sookehomehardware.com. Sooke Harbour Resort & Marina has a composting program that we ask guests to participate in. If you have any of the following materials, please use the compost bucket located under the kitchen sink. Use only certified Compostable bags. Use old newspaper to wrap wet food waste. Use paper towels to wipe fat and grease off cookware. Do not pour fat and grease down the drain. Store meat and fish waste in a paper bag in your freezer until collection day – especially in the summer. Empty your kitchen container frequently. Periodically rinse with a mild detergent. Close tote lid tightly after use. Throughout centuries, nature has shaped the people and the history of the southwest coast of Vancouver Island. It is a people’s history, set in a land where a rainforest of infinite majesty matches the awesome grandeur of the Pacific Ocean breaking upon the western shore. For the T’Sou-ke First Nations Peoples at the Sooke Harbour and the Sooke River at our eastern boundary to the Pacheedaht Peoples at the San Juan River Valley in the western region, it was the forest and the sea that sustained and sheltered them. In the late eighteenth century it was the search for the famed northwest passage that brought Spanish exploration, followed in the mid-nineteenth century by the arrival of hardy immigrant settlers, some arriving by ship from the British Isles, some overland across the continent from the French settlements in eastern Canada. The ongoing saga of the pioneer families as the new society developed, the intercultural relationships, the neighbourly spirit that was nurtured throughout the region, and the natural resources that built the economy, are all reflected in the history of Sooke, East Sooke, Otter Point, Shirley, Jordan River and Port Renfrew. Sooke is located on the Southwestern tip of Vancouver Island, British Columbia, Canada. It has a sheltered harbor and is a scenic half hour drive from BC’s capital city Victoria. This scenic seaside town is world famous for it’s wonderful salmon fishing year round with spring salmon reaching 20lbs on average and often up to over 50lbs. The Sooke region encompasses East Sooke and the District of Sooke, two communities that are joined across the Sooke Harbour and Basin. The population boasts 10,000 year round residents. Sooke supports a wealth of interests such as music, drama, arts and crafts, photography, gardening, and team sports through community organizations. Annually this town hosts major art exhibition, the Fine Arts Show which welcomes over 3000 art aficionados from around the world. Sooke is home to over 200 working artists, some of whom are represented here on site at the Sooke Harbour Resort & Marina. Cedar carvings from Renaat Marchand, glass mosaic work by Benjamin Chase and oil paintings by Jill Winstanely. Sooke’s diversity offers something for everyone. As a part of a temperate rainforest, the Sooke district has one of the most mild climates in Canada. Typically warm and dry in the summer, the weather is very pleasant. Winters also are also mild with a good amount of rainfall and a rare snowfall. This pleasant climate can be enjoyed while hiking, biking, or horseback riding some of the local trails, or kayaking or sailing in the local waters of the Sooke Basin and beyond. Enjoy your visit to Sooke, BC! Located in the main building at the Sooke Harbour Resort and Marina, the Adventure Centre is your one stop to a thrill in many different activities. The Adventure Centre activities include Hobie Kayak rentals and sales, Nordac Bicycle rentals. Just off West Coast Road (across from the Fuse) on Grant Road. English and Western style lessons in both English and Western style, and Ring Rides are included in lessons. Lessons starting from 1 hour for a private lesson at $45 Cdn per person and $40 Cdn per person of group. Rates are subject to change. Please call in advance. Seasonal. In your own vehicle, turn left out of the resort and head West and North along the West Coast Road for a scenic full day trip of spectacular beaches, passing Jordan River, China and French Beaches and drive up as far North as Port Renfrew and turn East on a active logging road to the West side of Cowichan Lake, around the lake and then to the main Highway. This road leads you through Duncan, drive South on this Highway #1 back towards Victoria and then right on Hwy #14 to Colwood, Langford and Sooke, back on the road which turns into Sooke Road and then changes names again to West Coast Road. This trip should take you a full day out on the road to see the most amazing natural beauty. Please take proper precautions when traveling on active forestry roads. Click here for a map & directions. Trail Rides! Year Round, weather permitting, Trail Rides starting from this end of Gordon’s Beach! Trail riding and lessons through forests and on sandy beaches depending on experience of riders. 1 ½ hr Trail Rides $30 per person, 3 types of saddles to use. Subject to availability. Among other wonderful amenities, Sooke Harbour Resort & Marina has the opportunity to facilitate both fishermen and leisure boats on-site. With a 114 slip marina, we are able to house your boat nightly or annually. We have 200 feet of dock space that can accommodate boats over 35 feet, security gates and amenities like power and water to accommodate guests easily. For slip availability, prices and other marina information, please contact the Front Desk. Departing from the Sooke Harbor aboard a 12-passenger high-speed Zodiac, explore the Strait of Juan de Fuca and Southern Vancouver Island’s dramatic, windswept coastline to encounter Killer Whales (Orcas), Porpoises, as well as Minke, Gray and Humpback Whales. Air North Yukon Airline 1.800.661.0407. Harbour Air (Seaplanes)(local Victoria scenic tours, charters, flights to VCR Aprt & VCR Harbour) 250.385.9131. Kenmore Air (both seaplanes & standard planes) (flights Victoria Harbour to Gulf Islands, San Juan Islands, Olympic Peninsula, also charters and instruction) 1-866-359-2842. (local Victoria Scenic tours, flights to VCR Airport, VCR Harbour, Nanaimo, Sechelt, Comox) 1.800.347.2222. OPEN 7:30 am to 5 pm. Free drop off at Victoria Airport. (routes on Vancouver Island, enroute pickups available at Spencer Rd and Hwy#1 – at the Shell gas station can be arranged if booked 1 day in advance) 250.388.5248. Public Bus – BC Transit 250.382.6161. Victoria Airporter Bus Line 250.386.2525. There are 7 ATM banking machines located throughout Sooke. The location closest to the resort would be at Buffy’s Pub/Liquor Store on West Coast Road just a couple of minutes away. Branches for most major banks are located a short distance from the resort. 101- 6661 Sooke Road 250.483.7000. 309 Burnside Road, Victoria 250.405.6150. 2669 Douglas Street, Victoria 250.953.2500. Westshore Shopping Centre- 735 Goldstream Ave 250.389.2485. For non-emergency situations, contact the Concierge, who will be happy to assist you in finding a doctor, dentist or physiotherapist. 7110 West coast Road 250.642.3424. Church 2110 Church Road 250.642.4124. 6851 West Coast Road 250.642.4822. Sooke Harbour Resort & Marina is located within just a few minutes walking distance to delectable restaurants, pubs, and cafes or a close drive to many more dining options ranging from high-end epicurian to funky coffeeshops offering sandwiches and fresh-baked artistan treats. Our Business Centre is here for your convenience. For service, please contact the Front Desk. Le Sooke Spa offers a tranquil escape for body, mind and spirit. Whether it is a short visit or a full spa day, their practitioners will make your spa experience a memorable one. Pure Elements Spa provides everything one might need to enjoy a relaxing say at the spa with a full array of spa treatments and an esthetics salon on site. Fun or relaxation? Take your pick! Sooke SEAPARC Leisure Centre offers both in convenience of a pool and hot tub area open to the public. SEAPARC is located at 2168 Phillips Road. Public swimming hours can be found by calling the front desk at 250.642.8000. Sooke Health & Fitness is located at 625-A Sooke Road and is open to the public 5 days a week 9am-8pm. Inquiries can be made at 250.642.7111. Exhilarating outdoor entertainment for everyone! Zip through 100 acres of coastal temperate rainforest with magnicifcent mountain and ocean views. Enjoy eight ziplines, ranging from 150ft/45m to 1000ft/305m. A collaboration of the people and history of the region since its discovery in 1780 by explorer Manuel Quimper. Consisting of First Nations and Pioneer artifacts, unparallel specimens of Sooke’s natural surroundings and the oldest standing pioneer home west of Victoria, Sooke Regional Museum and Info Centre is a great place to begin the exciting journey through our town! The Land Conservancy bought the Sooke Potholes and turned it into a gorgeous campground open to the public. Complete with parking and an info centre, the potholes as now become an educational natural wonder of Sooke. Years of slow moving water have carved beautiful caverns and swimming holes into the soft stone and created a favorite local summer getaway. Open year round, this scenic backdrop is perfect for winter photographers and summer sun-seekers. Ask the Front Desk for directions. This is one of Victoria’s premier attractions, and Canada’s most visited museum, dedicated to teaching about the land and people of coastal British Columbia. The Natural History gallery presents BC’s coastal and rainforest ecosystems from the ice age to the present, the Modern History gallery features a real frontier town and the excellent First People’s gallery houses native art and artifacts including an authentic longhouse. The IMAX theatre shows National Geographic films. ROCKLAND / FAIRFIELD. With over 15,000 pieces, this is British Columbia’s largest public art collection. Highlights include one of Canada’s best Asian art collections complete with an authentic Shinto shrine, and paintings by Victoria-born artist and writer Emily Carr. Youngsters and the young-at-heart will enjoy the king-sized dollhouse. Call to inquire on current exhibitions. This is a place where the whole family can find so much to see, do, experience, learn, discover and remember. A 29-acre site devoted to the display of the Saanich Historical Artifacts Society’s massive collection, Heritage Acres also includes numerous trails and picnic spots. Original and replica buildings (including a school house, log cabin, blacksmith, mercantile, chapel, boat house and sawmill) depict BC life circa 1900. Artifacts range from small household items to farm machinery; some are housed in the museum building, others are scattered around the property. Sharing the land is the Vancouver Island Model Engineers Club which occasionally offers rides on their scale model trains (call ahead to get the current schedule). Over 85 exciting miniature dioramas and displays -- one of the most popular tourist attractions in downtown Victoria, BC, Canada. If you happen to be in Victoria during one of its rainy spells, this is the ideal attraction to visit. Spend a couple of hours examining dozens of tiny exhibits depicting scenes from all over the globe. You’ll visit the Great Canadian Railway, European castles, Olde London Towne of 1670, outer space, the Canadian frontier, and the Swiss Family Robinson tree house. There’s also an array of intricately decorated dollhouses, and the world’s smallest operational sawmill. Imagine how much space these exhibits would require if they were life-size! The following businesses can be found uptown Sooke for your shopping and browsing pleasure! Please contact the front desk for locations and phone numbers. Click here for the full Sooke Chamber Business Directory. Golfing on Vancouver Island’s golf courses is a true golfer’s paradise. With a climate that encourages golfing year-round, Victoria and Vancouver Island are home to many of Canada’s most beautiful and challenging courses. Imagine playing on rolling coastlines framed by stately evergreen trees and accompanied by an ocean view. Golf your way up and own Vancouver Island and discover the variety of courses waiting to exhilarate you and improve your game. Golfers can take advantage of the many golf Vancouver Island packages available to visitors and spend their entire vacation on the greens. Leave your holiday arrangements to our concierge and allow yourself more time to tee off. You may also wish to incorporate lesson from a local gold tournaments hosted on Vancouver Island gold courses. Semi-private golf club with pro shop and banquet facilities. Only minutes from the Inner Harbour, Gorge Vale provides a challenge to players of all skill levels on a beautiful park-like setting of mature trees and rolling terrain. Club and locker rentals available. A park-like setting with well contoured greens, bunkers and fairways await you. For the ultimate in world class gold, come and experience the exclusive, Jack and Steve Nicklaus co-designed Bear Mountain golf course. With panoramic mountain, ocean and city views, this course strikes the perfect balance between playability and the most challenging golf you’ll ever play. This mountainside course offers expansive views of the fairways and nearby Mount Finlayson. Located just minutes away from downtown Victoria, Bear Mountain offers a premiere gold resort experience that is unmatched by any other. Each round includes a GPS-equipped power cart, club valet and club cleaning. The Olympic View Golf Course boasts tranquility and nature with a variety of golf holes that constitute individual masterpieces that meld together to form a larger work of golf art. The magnificence of the Olympic Mountains, roar of two spectacular waterfalls, harmony of eagles soaring and deer grazing, calmness of twelve lakes and the stylish rock outcroppings deliver an award winning golf experience. It’s no wonder this was the first course in British Columbia that Tiger Woods played, as an amateur in 1994. Nestled deep inside a pristine Vancouver Island forest, Olympic View first impresses as you survey the horizon from the first tee, the staggered peaks of the Olympic Mountains seem to pierce the sky above. The seventeenth hole encompasses enough natural beauty for an entire course. From the tee, aim toward a 40 foot hawaiianesque waterfall that frames the green 417 yards away. This signature hole plays through a steep, narrow valley past a huge rock column and a Japanese garden. Olympic View also hosts the award winning GBC Golf Academy. A state-of-the-art practice facility with nine large natural grass driving areas with five target green stretching to 330 yards and three short game areas set to deliver private instruction, clinics, golf schools and junior programs. The GBC Academy simulates all playing conditions across 14 acres. Highland Pacific Golf was created for golfers who want to enjoy a scenic, challenging championship golf course that is playable all year round. Highland Pacific overlooks the majestic Olympic Mountains, the Strait of Juan de Fuca and Thetis Lake Park. Don’t let the views distract you….this course has some surprises in store! Address: 450 Creed Road Victoria, B.C. Very well known is the rugged and superbly wild 47 kilometer (29 miles) Juan de Fuca Marine Trail west of Sooke and its marvelous and easily accessible China, Sombrio and Botanical beaches – the latter featuring some of the most impressive tidepools on the Northwest Coast. Sooke is also the last-chance full-service outfitting stop for backpackers en route to the southern end of the internationally famous 75-kilometer (46-mile) West Coast Trail, which begins 70 kilometers (46 miles) west of Sooke. Other fine regional and provincial parks along the shore include: Witty’s Lagoon; an ancient aboriginal village site; Whiffen Spit, which juts into the middle of Sooke Harbour (both prime birding locales); Roche Creek and the adjacent Matheson Lake regional parks, which connect a forest lake and its outlet creek to Sooke Basin; and French Beach, another interesting tidepool locale. These are places that define the rugged character of the south end of Vancouver Island. Here you can see petroglyphs and sheel middens left by ancestors of the First Nations people, shoreline stands of redbarked madrona and wind-twisted Sitkaspruce, seals and sea lions lounging on offshore rocks and, if you’re fortunate, a pod of orca or gray whales. There are more terrestrial features to check out as well, including the 60 kilometer (37 mile) Galloping Goose Trail, a wildly popular hiking, running and bicycling path along an old railway bed between Victoria and the former mining area of Leechtown north of Sooke. Also north of town is a longtime cooling off spot on a canyon of the Sooke River, the Sooke Potholes Provinical Park. To round out your hiking adventure holiday, visit East Sooke Regional Park and the many coastal hiking trails available there. Trail Rating: Easy (Aylard Farm) to Challenging (Coast Trail). Location: East Sooke Road in East Sooke. Hours: 8 am to sunset. Aylard Farm is a popular with picnickers and those looking for an easy excursion. A 5 minute walk through open fields leasd to a pocket beach where you can discover intertidal life, or watch river otters scurrying across the sand. Trails head inland to hilltop views, or along the rugged Coast Trail. Anderson Cove, on the Sooke Basin, is the starting point for hikers heading to Babbington Hill and Mount Maguire. On these hilltops, bald eagles, turkey vultures and red-tailed hawks join you for sweeping views of the Olympic Peninsula. Pike Road is the most westerly access to the park, and to the Coast Trail. An old logging road winds through forest to meadow and beach. Here, at low tide, look for periwinkles, goose-neck barnacles and purple sea stars … but do not remove! Aylard Farm Entrance Follow Sooke Road and turn right on Gillespie before the 17 Mile Pub. Turn left on East Sooke Road, then right on Beacher Bay Road to reach the park entrance. Anderson Cove Entrance Follow directions to Gillespie Road. Turn right on East Sooke Road to reach the park entrance on the left. Over the past 100 years, anglers have discovered that the waters around Victoria and Vancouver Island are blessed with an abundance and variety of saltwater fish. British Columbia is famous for wild salmon and Vancouver Island is home to all five species of North American Salmon. Sooke’s open Pacific shores and inner coastal straits offer miles of angling experiences. On the waters around Victoria, the smell of salt air, the beauty of the deep blue ocean and the rugged coast lined with old growth forests are all part of the experience that is saltwater fishing. Conservation measures and the reduction of commercial fishing in recent years have proven highly beneficial to sport fishing. The Canadian and British Columbia governments are committed to quality sport fishing and ask for your help and respect when fishing our waters. Follow the regulations and limits in order to ensure the continuation of the sport today and in the future. Sooke’s coastline offers some of the best salmon fishing in the world, and has 5 varieties of this incredible fish. There is the Pink salmon, Sockeye, Coho, Chinook and the Chum Salmon. Because of Sooke’s location at the southernmost tip of Vancouver Island, some of these salmon thrive all year long. Salmon Fishing charters are a great way to spend an afternoon in the sun with friends or family. Many of the charter companies that leave from our docks offer 3 – 5 hour trips, as well as full day excursions and can accommodate up to 4- 9 passengers on their vessels. Please contact our Guest Services Agents for more information. We get it! Everyone likes to be rewarded. That's why True Key Hotels & Resorts has partnered with Stash Hotel Rewards® to allow you to start earning points on your next stay, right away. Join Stash today to start earning 5 points per $1 on eligible room rates. Points you can use toward free stays at nearly 200+ unique properties on the Stash Hotel Rewards network. Not a member yet? Click here to join or to learn more and start earning points for free nights at great hotels. This one-of-a-kind loyalty program allows guests to not only collect and redeem points at True Key properties but at hundreds of unique, independent hotels across Canada, the US and the Caribbean. True Key Hotels & Resorts proudly manages the Harrison Beach Hotel and offers a collection of luxury properties in British Columbia. Bighorn Meadows Resort resides in Radium Hot Springs, BC, in the midst of the Canadian Rockies Kootenay National Park. This resort is located 2.5 hours west of Calgary, Alberta and offers luxury resort accommodation on the Springs Golf Course. Harrison Beach Hotel is located in Harrison Hot Springs, BC on the south shore of Lake Harrison. This majestic town is located only 90 minutes east of Vancouver and offers a multitude of adventures to suit everyone’s desires. Fishing, boating, water sports, skiing and hiking are just a few adventures that lay right outside of this beautiful hotel. Moutcha Bay Resort is located at the mouth of the Conuma River, just 40 minutes west of Gold River, in the beautiful sheltered waters of Nootka Sound, BC. Newly constructed in 2011, Moutcha Bay Resort provides a unique collection of products and services not otherwise found in our region. Nootka Sound Resort is moored in Galiano Bay off the Tlupana Inlet, in Nootka Sound on the west coast of Vancouver Island, British Columbia. Designed as a first-class fishing resort and corporate retreat, offering fully guided Fishing Charters, wildnerness tours, and more. Newton Cove Resort is located in Espinosa Inlet near the Pacific entrance to Esperanza Inlet. Providing some of the easiest access to our regions best fishing, this prime location is perfect for a corporate retreat and can be booked exclusively for groups. Radium Golf Group consists of two privately-owned public golf courses, The Springs Course and The Radium Course. The Radium Golf Group strives to be market leaders in the golf industry by providing guests with a first-class recreational golf experience. The Springs Course offers championship level golf with a great driving range and practice area. This course is set along the bluffs overlooking the Columbia River with views of the Purcell Mountains. The Radium Course offers classic mountain golf on this par 72 track; with enough challenge for the low handicap golfer but enough forgiveness for any golfer this course is a must play. SookePoint Ocean Cottage Resort is perched cliffside on Possession Point in Sooke, BC – about 60 minutes from Victoria, BC and 30 minutes from the Village of Sooke – your oceanic cottage will sweep you off your feet. The full wall of windows facing the Pacific Ocean with nothing obstructing your view, will give you the feeling of being on your own private yacht. Sunrise Ridge Waterfront Resort is situated beachfront on the sunny east coast of Vancouver Island near Parksville, B.C. Sunrise Ridge is at the center of all the amenities and activities one could wish for in a beautiful Pacific Northwest setting. Enjoy the beaches, golfing, hiking and much more all from the comfort of a modern, west coast styled resort.